Sadly, though, developed country governments and anti-poverty activists ignore this fact and insist that developing nations need a paternalistic hand up. Both are missing an opportunity, because there are billions of capitalists in waiting at the bottom of the pyramid. Next month, the United Nations will formally announce the successors to its Millennium Development Goals, the global body’s approach to poverty alleviation since the year 2000. These new goals will be touted as “sustainable.” The event will coincide with a visit by the pope, at which he is expected to concentrate on climate change and materialism as the greatest threats to the welfare of the people of the developing world. Don’t expect to hear much on the way people in the Western world lifted themselves out of poverty: free-market capitalism. The phrase “the fortune at the bottom of the pyramid” was coined by the late C.K. Prahalad, building on the work of Nobel laureate Amartya Sen. In his groundbreaking 1999 work, Development as Freedom, Sen pointed out that one of the most important aspects of development is freedom of opportunity, a vital part of which is access to capital and credit. Capital and credit, however, appear nowhere in the draft UN goals. When capital is sufficiently available, would-be entrepreneurs at the bottom of the pyramid have demonstrated a willingness to launch new ventures and invest in their futures — that is, to embrace free-market capitalism to the benefit of all concerned. There are several ways to ensure access to capital in the developing world, but the most important approach is to unlock the productive potential of the capital already available there. such opportunities as access to credit, the establishment of systems of identification, the creation of systems for credit and insurance information, the provision for housing and infrastructure, the issue of shares, the mortgage of property and a host of other economic activities that drive a modern market economy. Similarly, many local assets around the world remain in common ownership — in reality, owned by no one. Initiatives such as India’s privatization of forest resources seek to address this problem by enabling the titling of assets by indigenous peoples, who can then tap into those resources for access to credit to open up new opportunities. Estimates suggest that similar initiatives could be extended to 900 million plots of land across the developing world. There are also exciting opportunities that could arise for the public recording and utilization of such capital through the distributed public-ledger system known as the blockchain, best known for its role in the development of bitcoin. Development of the blockchain for property recording and titling would significantly reduce both the transaction costs and the widespread corruption associated with government-controlled titling systems. Significantly, De Soto’s ILD is promoting these initiatives. Recent innovations have enabled the development of microfinance — access to small amounts of credit for specific purposes. Today, microfinance institutions all over the developing world provide small loans, access to savings, and microinsurance to families or small businesses. By giving them access to proper investment capital and affordable financial institutions, microfinance providers help small- and medium-sized enterprises in developing countries to grow. Often, these businesses are so small that they can neither afford the interest rates on bank loans nor come up with the capital they need on the their own. When implemented correctly, microfinance loans empower their customers to invest, grow, and be productive, all of which contribute to diminishing poverty within communities. One of the most prominent examples of microfinance is Muhammad Yunus’s Grameen Bank, first established in Bangladesh. According to a RAND Corporation study, areas where Grameen Bank offers programs saw unemployment rates drop from 31 percent to 11 percent in their first year. Occupational mobility improved, with many people moving up from low-wage positions to more entrepreneurial ones. There is evidence of increased wage rates for local farmers. Women’s participation in income-generating activities also rose significantly. Access to capital and credit enable new markets to spring up where none existed before. Entrepreneurial activity is unleashed. Consider one of Prahalad’s case studies of Nirmal, a small Indian firm that sold detergent products designed for rural village uses, such as in rivers. The products came in small packages at low prices suitable for Indian villagers’ daily cash flow. The company soon found itself with a market share equal to that of consumer-goods giant Unilever’s Indian subsidiary. Unilever responded by introducing similar products, thereby growing this new market. In the process, more environmentally friendly products were invented and sold, too. As Prahalad points out, over four billion people in the world lived on an annual income of $1,500 or less (in 2002 dollars), with one billion living on less than a dollar a day. Nevertheless, based on purchasing power parity, this market represents an economy of $13 trillion or more, not that far off from the entire developed world. The underdeveloped world is ripe for capitalism. The “unemployed” protestors of the Arab Spring were, in fact, small businessmen who were pushed to the breaking point by continually having their capital and profits expropriated by corrupt government officials, as De Soto points out. So, while the Western media portrayed the protests as being mostly about politics and freedom of expression, they were as much — if not more — about the freedom to do business. Despite corruption and bureaucracy, strong markets have grown up in developing countries. Kenya is a case in point. It leapfrogged the Western world’s development process for mobile communications technology. Kenyans went from having few telephones to virtually everyone having a mobile phone without needing the stage of landline infrastructure in between. A similar process is now taking place in personal finance. Vodafone, along with its Kenyan subsidiary, Safaricom, developed m-pesa, a mobile payment and value storage system to be used on its phones. Transactions are capped at about $500, but crucially can be person-to-person, acting as digitized cash. Introduced in 2007, it had 9 million users — 40 percent of Kenya’s population — just two years later. By 2013, 17 million Kenyans were using it, with transactions valued at over $24 billion — over half of Kenya’s GDP. M-pesa has in turn improved access to capital even more, and technology businesses are thriving all over Kenya as a result. Kenya is not alone. The phenomenon is spreading to other African countries and to some South American countries such as Paraguay. Environment, education, and health all benefit from wealth creation. Perhaps the real mystery of capitalism is that neither the United Nations nor the pope recognize the benefits it can bring to four billion of the world’s poor. Free enterprise and human welfare boom where governments allow new markets with access to capital and credit. That is all it takes to meet the UN’s development goals. 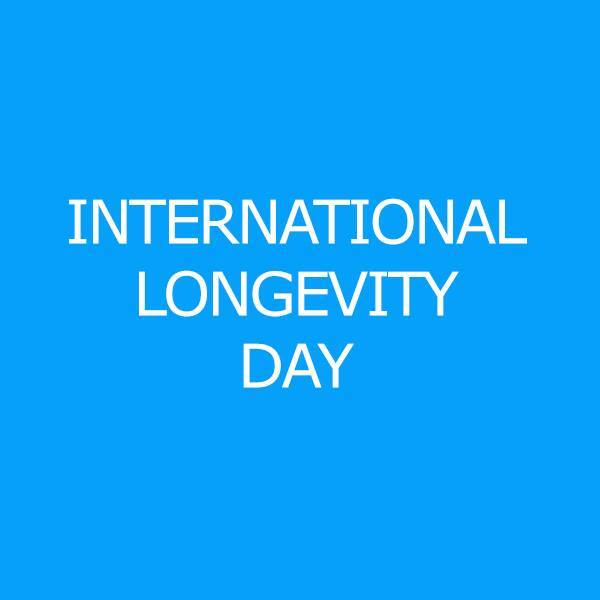 This day is sometimes referred to in some parts of the longevity activists community as the “International Longevity Day”. 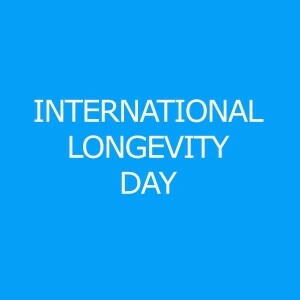 As this is the official UN Day of Older Persons, this provides the longevity research activists a perfect opportunity, perhaps even a perfect “excuse”, to emphasize the importance of aging and longevity research for the development of effective health care for the elderly, in the wide public as well as among decision makers. The critical importance and the critical need to promote biological research of aging derives from the realization that tackling the degenerative processes and negative biological effects of human aging, at once and in an interrelated manner, can provide the best foundations to find holistic and effective ways for intervention and prevention against age-related ill health. Such an approach has been supported by scientific proofs of concept, involving the evidential increase in healthy lifespan in animal models and the emerging technological capabilities to intervene into fundamental aging processes. The focus on intervention into degenerative aging processes can provide solutions to a number of non-communicable, age-related diseases (such as cancer, heart disease, type 2 diabetes and neurodegenerative diseases), insofar as such diseases are strongly determined by degenerative aging processes (such as chronic inflammation, cross-linkage of macromolecules, somatic mutations, loss of stem cell populations, and others). This approach is likely to decrease susceptibility of the elderly also to communicable, infectious diseases due to improvements in immunity. The innovative, applied results of such research and development will lead to sustainable, economically viable solutions for a large array of age-related medical and social challenges, that may be globally applicable. Furthermore, such research and development should be supported on ethical grounds, to provide equal health care chances for the elderly as for the young. Therefore it is the societal duty, especially of the professionals in biology, medicine, health care, economy and socio-political organizations, to strongly recommend greater investments, incentives and institutional support for the research and development dealing with the understanding of mechanisms associated with the human biological aging process and translating these insights into safe, affordable and universally available applied technologies and treatments. October 1 – the International Day of Older Persons — provides the researchers and advocates an opportunity to raise these points and make these demands. Let us maintain and strengthen this tradition! Let us plan and organize a mutually reinforcing network of events worldwide. If you plan to organize an event for that day – either live meetings or on-line publications and promotions – please let know. Together we can create an activism wave of strong impact. Following the collection of an impressive number of longevity promoting events worldwide in honor of that day, a general public appeal will be issued, both widely disseminated and addressed to relevant officials, both governmental and supra-governmental. Yet, the strength of the appeal will depend on the strength of all the individual events and actions. Among the materials for discussion, distribution and promotion, one may use the position paper on the “Critical need to promote research of aging and aging-related diseases to improve health and longevity of the elderly population”, briefly describing the rationales, technologies and policies needed to promote this research. The position paper is available in 9 languages and can serve as a “universal advocacy paper” both for the grass roots discussions and promotions and for the outreach to officials: http://www.longevityforall.org/the-critical-need-to-promote-research-of-aging-around-the-world/. Also one may use in the preparation a presentation briefly listing some topics in longevity science promotion, such as the feasibility and desirability of achieving healthy longevity and public actions that can be taken to achieve it – http://www.longevityhistory.com/articles/ab7.php – or any other materials of your choice. In the US, a conference will be held at the headquarters of the International Society on Aging and Disease (ISOAD), at the University of North Texas Health Science Center, in Fort Worth, Texas. This action will be endorsed and promoted by the US Healthspan Campaign (http://www.healthspancampaign.org/). The Longevity Day action will also be promoted by the US Transhumanist Party, during their campaign tour that coincides with October 1. Also in the US, online promotions will be held by the MILE campaign and by the Christian Transhumanist Association. 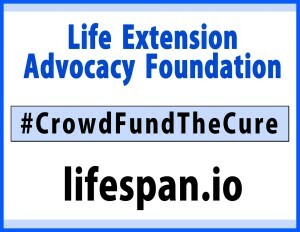 A special promotion will be done by LEAF – Life Extension Advocacy Foundation – via its crowdfunding platform for longevity research (http://www.lifespan.io/). A fundraising action will be launched on that day for SENS Research Foundation by Fight Aging (https://www.fightaging.org/fund-research/). 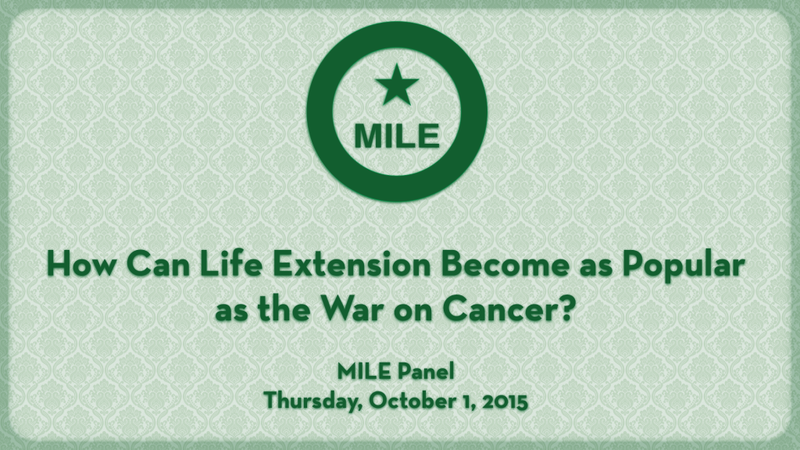 In Israel, a seminar will be held in Bar Ilan University, by the Israeli Longevity Alliance. Toward that day, Israeli activists will also freely distribute an e-book on the history of longevity research (http://www.longevityhistory.com/). In Moscow, Russia, a conference will be organized by the Russian Longevity Alliance. Another large conference will take place in Moscow, on the “Quality of Life of Older Persons”, supported by the Gerontological Society of the Russian Academy of Sciences, focusing on geroprotective substances and therapies. In Gomel, Byelorussia, at the end of September, a conference will take place on the general subject of Radiobiolgy, at the Institute of Radiobiology of the National Academy of Sciences of Byelorussia, with a leading section on the biology of aging and longevity (“gerontological aspects of man-made factors”). Another small conference will take place in New Delhi, India, organized by the Solutions For the Future, with the help of India Future Society, and ISOAD India. A series of events is planned in Pakistan, by the Pakistan National Academy of Young Scientists and the Universities of Lahore and of Malakand. The newly formed Pakistan Aging Research Society (PARS) organizes an entire month long campaign, “Go for Life” – from September 1 until October 1 – to encourage physical activity of older persons. In Rome, Italy, a conference will be organized by the Italian Transhumanist Association and the Italian Longevity Alliance. Additional meetings and promotions are planned by the European Healthy Life Extension Society (HEALES) in Brussels, Belgium, including a Competition for the Best Short Film on Life Extension. A conference on longevity/life-extension science will be held by the Waag Society – Do It Together Bio in Amsterdam, Netherlands. In Germany, meetings will be held by two new officially registered political parties that emphasize the development of biomedical research in their programs: in Berlin, by the German Health Research Party and in Stuttgart by the German Transhumanist Party. An online promotion (videoconference) in Spanish will be organized by the Venezuela Longevity Alliance (together with activists from accross Latin America). A similar videoconference (to be recorded) in Portuguese will be organized for Brazil by the Brazil Longevity Alliance. A pro-longevity documentary promotion will be done in Helsinki by Longevity Finland – Pitkäikäinen Suomi. A meeting will be held in Stockholm, Sweden, by Aldrandefonden/Svenska Livsförlängningssällskapet SLFS – Swedish Life Extension Society. In the UK, the London Futurist community will celebrate longevity research as a part of a discussion of emerging technologies in London. In Larnaca, Cyprus, the ELPIS Foundation, together with the local gerontological community, will hold a seminar “Health in Older Life” and a local TV show in honor of that day. In Perth, Australia, a meeting will be held by the “Healthy Longevity Philosophy” society. Another promotion will be done by Science, Technology and the Future society in Melbourne, Australia. In Kiev, Ukraine, a seminar will be held on behalf of the Kiev Institute of Gerontology of the Ukrainian Academy of Medical Sciences. In Beijing, China, a meeting will be organized by the Technium community. In Uganda, the Kasese Freethinkers Sports Academy will educate about the connection between physical activity and longevity. A mini-seminar will be held in Lekki, Lagos, Nigeria, by Longevity Nigeria group. In Romania, a conference will be held at Äna Aslan National Institute of Gerontology and Geriatrics, in Bucharest, toward the end of October, with earlier promotions. In Vietnam, Hanoi, the Vietnam Public Health Association will hold a conference on the Mental Health of the Elderly, emphasizing biomedical research on neurodegenerative diseases. At about the same time, the 10th Asia / Oceania Congress of Gerontology and Geriatrics 2015 for “Healthy Aging Beyond Frontiers” will take place in Chiangmai, Thailand, including sections on biology of aging. In Paris, France, a seminar will be organized at the Biopark Cancer Campus, University Paris Sud. In South Korea, the Korean Branch of Solutions for the Future will organize a meetup in Seoul. In Switzerland, Zurich, the Swiss Longevity Alliance will have a presentation on longevity research. This will shortly follow a large international symposium on geroprotectors in Basel. In Poland, the Warsaw University Students Association will support the organization of a discussion on life extension science. In Canada, at Huntington University, an event will be held by the Canadian Institute for Studies in Aging (CISA). In Alberta University, Canada, a special discussion on Technology and the Future of Medicine will be dedicated to that day. In Iran, a study group will be conducted in Tehran on behalf of the Iran Longevity Alliance: http://www.iranlongevity.com/. Yet another study group will be held in Cairo, Egypt, by the Egypt Longevity Alliance: http://www.egyptplus.org/. And yet another free discussion of longevity science will take place in Tirana, Albania – the first longevity research activism event in the country. In Bulgaria, events toward the International Longevity Day will start earlier in September with a conference in Ravda, organized by the University for National and World Economy, Department of Management and BASAGA – Bulgarian Academic Simulation and Gaming Association, including a section on Futurism, Transhumanism and Longevity, and continuing up to the date itself with more live and online discussions and publications and a special appeal in honor of that day. In Tokyo, Japan, Exponential Technologies Institute will hold a meetup on longevity science in the framework of Tokyo-Singularity-Meetup. A meeting will be held in the National Library in Tbilisi, Georgia, by activists of the Georgian Longevity Alliance, including presentations on the development of longevity science in Georgia and the world, and debates. 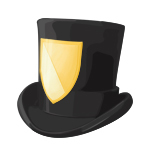 More events and expressions of support are expected to be initiated in the very near time in different countries. Please add your support and more events and publications for this initiative! If you would like to get involved, please let know! Preparations for the next year’s International Longevity Day – October 1 – already started as well. The next global conference of the International Society on Aging and Disease (ISOAD) will take place in Stanford on October 1-2, 2016. The topics will range from interventions for longevity through stem cell research, genetics and systems biology of aging, to public support for aging research. The submission of abstracts and proposals is already started and welcome. And a conference is being planned in Brussels, for September 29-October 1, 2016, by the European Healthy Life Extension Society – Heales. Hopefully, thanks to these and many other events, in this year and in the years to come, the importance of biological aging and longevity research will gradually become a strong theme of the international healthcare agenda, for the elderly and for the entire population. Ilia Stambler, Ph.D. is an IEET Affiliate Scholar, researcher at Bar-Ilan University, Israel, and activist at the International Longevity Alliance. He is author of A History of Life-Extensionism in the Twentieth Century. He studied biomedical engineering at the Moscow Polytechnical Institute, biology at the Technion, Israel Institute of Technology, and earned his MA in English literature from Bar-Ilan University. He earned his Ph.D. at the Department of Science, Technology, and Society, at Bar-Ilan University. His thesis subject, and his main interest, is the History of Life-Extensionism in the Twentieth Century. In addition, Ilia authored Life extension — a conservative enterprise? Some fin-de-siècle and early twentieth-century precursors of transhumanism, Demonstration for Radical Life Extension in Tel Aviv, and Heroic Power in Thomas Carlyle and Leo Tolstoy, and coauthored Breast cancer detection by Michaelis–Menten constants via linear programming, and Comparative analysis of cell parameter groups for breast cancer detection. Read the full list of his publications! He speaks Hebrew, English, Russian, German, and Yiddish. He is active in the Israeli chapter of Humanity Plus, the Israeli Society for the Biology of Aging, and the International Longevity Alliance. Watch Demonstration for Radical Life Extension in Tel Aviv 5: Ilia Stambler. Read 10 Answers by Ilia Stambler. Visit his Facebook page. Read his Google+ profile and his LinkedIn profile. Read his blog Singularity | Life Extension | Transhumanism (Hebrew). He also noted that he voted against all the free trade agreements that were proposed during his time in Congress and that if elected President he would “radically transform trade policies” in favor of protectionism. Sanders and his ilk accuse their intellectual opponents of promoting “trickle-down economics,” but that is precisely what he is advocating when it comes to trade. The argument for protectionism ultimately relies on the belief that protecting domestic corporations from foreign competition and keeping consumer prices high will somehow benefit society as whole. In contrast to Sanders’ assertion that the expansion of free trade has been a disaster for the American people, there is a near unanimous consensus among economists that the opposite is true. When the vast majority of economists of all sorts of ideological stripes agree that free trade is a good thing, maybe, just maybe, they’re onto something. This result is mostly driven by the fact that foreign businesses produce many goods which are used in the production process at a lower cost than their domestic competitors. Access to these low-cost foreign inputs allows American businesses to decrease their production costs and consequently increase their total output, making the nation as a whole much wealthier than it otherwise would have been. Moreover, contrary to common conjecture, the benefits of international trade haven’t simply accrued to the wealthy alone. Low and middle income individuals tend to spend a greater share of their income on cheap imported consumer goods than those with higher incomes. 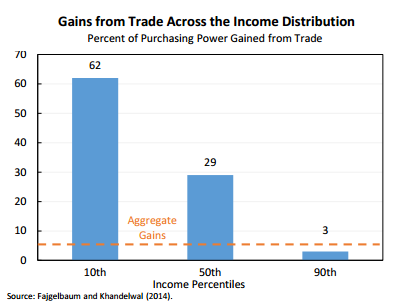 As a result, international trade tends to benefit these income groups more so than the wealthy. Indeed, according to the President’s Council of Economic Advisers, middle income consumers have about 29 percent greater purchasing power as a result of international trade. In other words, middle income consumers can buy 29 percent more goods and services as a result of the access to low-cost imports from foreign countries. Low income consumers see even greater gains with 62 percent higher purchasing power as a result of trade. In contrast, the top 10 percent of income earners only saw an increase in purchasing power of 3 percent as a result of trade. On top of that, international trade has provided benefits by bringing new and innovative products to American consumers. According seminal research by Christian Broda of the University of Chicago and David E. Weinstein of Colombia University, the variety of imported goods increased three-fold from 1972 to 2001. The value to American consumers of this import induced expanded product variety is estimated to be equivalent to 2.6 percent of national income, about $450 billion as of 2014. That’s not exactly small change. The spread of free trade has also made considerable contributions to environmental protection, gender equality, and global poverty reduction. As a result of the spread of clean technology facilitated by freer trade, “every 1 percent increase in income as a result of trade liberalization (the removal of government-imposed barriers to trade), pollution concentrations fall by 1 percent,” according to the Council of Economic Advisers. The CEA also has found that “industries with larger tariff declines saw greater reductions in the [gender] wage gap,” suggesting that facilitating foreign competition through trade liberalization reduces the ability of employers to discriminate against women. In regards to global poverty reduction, research has shown that in response to US import tariff cuts, developing countries, such as Vietnam, export more to the US, leading to higher incomes and less poverty. Ultimately, the conclusion that most economists seem to reach is that, from being a disaster, the expansion of free trade has been a tremendous success, and that further trade liberalization would most likely make Americans, and the rest of the world, considerably better off. Don’t let fear-mongering about foreigners and China scare you: free trade benefits everyone, especially the poor, while protectionism benefits only the politically powerful. Corey Iacono is a student at the University of Rhode Island majoring in pharmaceutical science and minoring in economics. NEW YORK, Aug. 26, 2015 – The Life Extension Advocacy Foundation (LEAF) officially launches Lifespan.io, an online platform designed to bridge the gap between longevity researchers and the public who support breakthroughs happening in this burgeoning field. Lifespan.io is a website designed to house today’s most promising life extension projects. People are invited to contribute financially to the ones they wish to support. This unique approach to crowdfunding gives the public the opportunity to learn about longevity research, meet the people making it happen, and allows them to be a part of promising, historical breakthroughs in life extension technologies. Supported by biologists George Church and David Sinclair, who are members of LEAF’s Scientific Advisory Board, Lifespan.io is a collaborative environment that invites projects from a wide variety of sources. Research organizations, nonprofit institutions, citizen scientists, as well as forprofit entities, may submit their projects. Submissions are evaluated and approved based on the legitimacy, the extent of the focus on extending healthy human lifespan, and the viability of the venture. Organizations submitting launch projects include Harvard Medical School and the SENS Research Foundation. LEAF also aims to educate and inform the public about longevity research and life-expanding advancements. Lifespan.io has a YouTube Channel, Facebook, and Twitter profile where people can find the latest in lifespan, aging, and longevity news. To participate in and lend support to current projects, visit www.Lifespan.io. 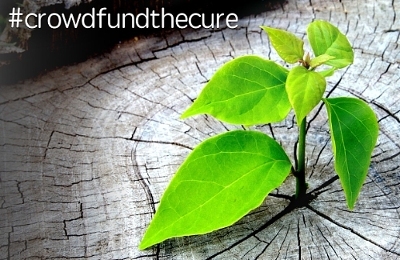 Join the conversation with the #CrowdFundtheCure hashtag. Those wishing to submit a project for funding consideration, or who want additional information about the various methods of promotional and scientific counseling offered by LEAF, are also invited to learn more on the website. 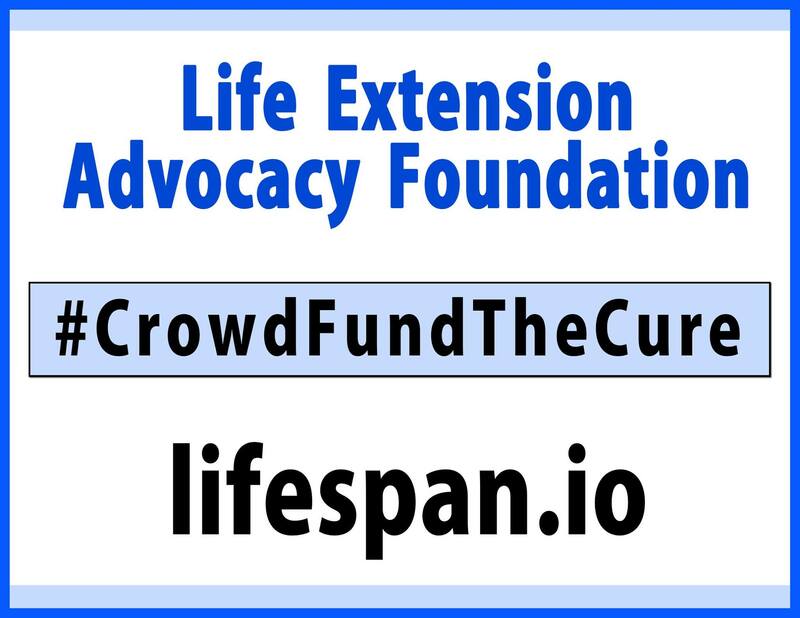 The Life Extension Advocacy Foundation is a nonprofit 501(C)(3) organization dedicated to promoting life extension, longevity, and aging research through crowdfunding and advocacy initiatives. Its mission is to connect the researchers and scientists developing the latest advancements with the people who support them through the Lifespan.io platform. Endorsed by top scientific leaders and experts from multiple disciplines, LEAF’s goal is to make all human life healthier and more vital, as well as longer. For more information, please visit www.Lifespan.io. To keep the credit-induced boom going, more credit and more money, provided at ever lower interest rates, are required. Somehow central bankers around the world seem to know this economic insight, as their policies have been desperately trying to encourage additional bank lending and money creation. 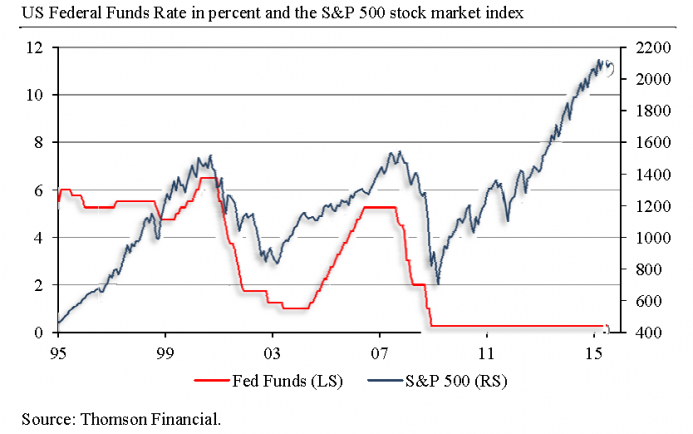 Why, then, do the decision makers at the Fed want to increase rates? Perhaps some think that a policy of de facto zero rates is no longer warranted, as the US economy is showing signs of returning to positive and sustainable growth, which the official statistics seem to suggest. Dr. Thorsten Polleit is the Chief Economist of Degussa (www.degussa-goldhandel.de) and Honorary Professor at the University of Bayreuth. He is the winner of the O.P. Alford III Prize in Political Economy and has been published in the Austrian Journal of Economics. His personal website is www.thorsten-polleit.com. (ANTIMEDIA) Chicago, IL – The Chicago Police’s CIA-style black site, Homan Square, has seen more people detained than died on 9/11 or imprisoned at Guantanamo, according to a new report by the Guardian. The newspaper, which sued the Chicago police to obtain further details on Homan Square, reports overwhelming targeting of minorities as well as other sordid and violative policies. The majority of arrests were for low-level drug crimes. As the Guardian details, there were 1,175 arrests for heroin, 526 for cannabis, 484 for cocaine, and 464 for “unspecified” drug charges. 244 arrests were made in relation to firearms while other arrests were for “minor infractions such as traffic violations, public urination and driving without a seatbelt.” Other charges ranged from drinking alcohol in public to murder. More than half of all Homan Square arrests occurred 2.5 miles or less from the facility. Of 3,621 arrest records provided to the Guardian, about 3,540 incurred charges (the newspaper notes that “[v]ast amounts of data documenting the full scope of detentions and interrogations at Homan Square remain undisclosed”). Though blacks make up 33% of Chicago’s population, 82% of those detained at Homan Square were black. Of the 3,500 detained, only three were allowed official visits from attorneys, two of which were on the same day in 2013. The Guardian noted it was able to find eight other instances of lawyers entering the facilities, though four were to accompany clients turning themselves in. Craig Futterman of the University of Chicago Law School observed that “In Chicago, the police do not provide people with attorneys at the police station at the times they most need them: when they’re subject to interrogation…That’s what the Miranda warning is all about: the right to counsel while interrogated by police.” Though police have said that “any individual who wishes to consult a lawyer will not be interrogated until they have an opportunity to do so,” the Guardian notes that this would mean 3,500 people waived their right to an attorney. Former top Obama aide and current Chicago Mayor Rahm Emanuel, who presided over ⅔ of the arrests— 2,522 since he took office in 2011—has insisted that Chicago police “follow all the rules.” However, in addition to the lack of access to attorneys, first-hand accounts reveal a starkly different story. In February, the Anti-Media reported on detainees held for marijuana, shackled to poles, and denied lawyers. Since the initial news broke that month, 118 arrests have been made. Charles Jones was arrested (for a second time) on March 17 after police officers broke in his door looking for a 5’8” man. Jones is 6’4”, but when officers—some masked— found a firearm in his air conditioning unit, they took him back to Homan Square. He was shackled to a pole in an “interrogation room” and his requests for a lawyer were denied over the course of six to eight hours (others claim to have had similar experiences while other allegations include sexual abuse, starvation, sensory deprivation, and beatings). Jones suspects they conduct such arrests to extract information on drug dealers. Though police insist there is nothing disreputable about the facility, saying the square “merely house[s] undercover units,” the number and nature of arrests paint a markedly different reality. More people have been detained and charged at the formerly secret black site than were killed on 9/11, though such abuses are often justified by the terrorist attacks that occurred that day (even as the Patriot Act and Homan arrests overwhelmingly focus on drug “crimes”). More people have been illegally detained at Homan than suspected terrorists at Guantanamo Bay, the globally infamous military torture facility scorned for flouting due process and holding innocent people for a decade. Guantanamo has been open longer than the span of released records from Homan Square. That the Chicago police continued to arrest people—even after news of its abuses sparked widespread outrage—highlights the impunity with which they operate. That the numbers far surpass other outrageous figures demonstrates the United States’ increasingly misplaced priorities and disregard for the justice and freedom it claims to protect. This article (Thousands of Americans Have Been Illegally Detained in Chicago’s CIA-Style Detention Center) is free and open source. You have permission to republish this article under a Creative Commons license with attribution to Carey Wedler and theAntiMedia.org. Anti-Media Radio airs weeknights at 11pm Eastern/8pm Pacific. If you spot a typo, email edits@theantimedia.org. In his letter to the editor of the Wall Street Journal, Wayne State University professor John Mogk took issue with Somin’s book and with Ed Glaeser’s favorable WSJ review. Mogk claims that they did not adequately weigh what he regards as a successful use of eminent domain to promote economic growth in Poletown, Detroit. The New London redevelopment project that cost Suzette Kelo her little pink house was, Mogk admits, a fiasco. But, he says, we shouldn’t paint all eminent domain cases with that brush. He wants to buttress the case that the public welfare can be enhanced by using eminent domain to obtain land for projects that are supposed to stimulate the economy and create jobs. Mogk believes that the apparent success of Poletown saves the day for eminent domain enthusiasts. Here are three reasons for believing that he is mistaken. No one can know ahead of time whether a plan will “work” (which is to say, produce at least some of the promised gains) or utterly fail. In Kelo, the City of New London’s grand redevelopment plan fell through completely. Where neat, modest houses once stood, you now see only rubble and weeds. Nobody knew that would be the outcome when the plan was conceived. Consider this analogy: The law forbids warrantless searches by the police, but suppose that, in some illegal searches, important evidence of criminal activity is found. Should we conclude that the Fourth Amendment’s warrant requirement can be discarded because there are some instances where we get good results from warrantless searches? Second, Professor Mogk’s Poletown example isn’t as telling as he thinks. Perhaps it is true, as he writes, that most of the inhabitants were content with their buyouts. What I don’t think anyone can deny, however, is that for some of the residents, especially elderly people, the forced relocation was extremely disruptive and painful. Outsiders like Mogk and the bigwigs at General Motors (who wanted the land for a new Cadillac plant) may have thought that Poletown was “declining,” but to the people who called it home, living there was their best option. The right to quietly enjoy their property was taken away from them so that others might be more prosperous — GM stockholders and UAW workers, in particular. We have to oppose the collectivistic philosophy that says it is permissible to use coercion against some individuals as long as those in power think they might thereby create a net utilitarian gain for more politically powerful (and usually much richer) interests. Third, all that these economic development eminent domain takings can ever do is to redistribute where economic activity takes place. It cannot create any overall gain. Let us suppose that the GM management was correct in forecasting an increase in demand for luxury cars. (It appears that they overestimated that demand, at least for their own vehicles, since the plant never employed nearly as many workers as they had said it would.) Free market competition to satisfy that demand would have led to increased output without Detroit confiscating land for a new GM plant. If it hadn’t been able to resort to coercion to get the land, GM would probably have found other ways of increasing Cadillac production, but even if it couldn’t have done so, other auto-makers would have built more luxury cars. Auto jobs would have been created somewhere, and car buyers would have benefited without property owners losing. Instead of proving that eminent domain can be a good economic development tool, the Poletown example is just another illustration of Bastiat’s broken window fallacy. Demolishing Poletown to build a new auto factory brought about visible benefits for some people, but only at the expense of benefits for others that would have otherwise occurred. No, not every eminent domain seizure for economic development purposes is as pointless and utterly destructive as Kelo, but we still ought to stick with this rule: Government should protect property rights, not violate them. The government should do those few order-keeping functions appropriate to it and leave the allocation of resources and planning of production to people who risk their own money and cannot take what isn’t theirs. It is both practically desirable and morally imperative for individuals and institutions in the so-called “developed” world to strive for a major acceleration of technological progress within the proximate future. Such technological progress can produce radical abundance and unparalleled improvements in both length and quality of life – whose possibilities Peter Diamandis and Steven Kotler outlined in their 2012 book Abundance: The Future is Better Than You Think. Moreover, major technological progress is the only way to overcome a devastating step backward in human civilization, which will occur if the protectionist tendencies and pressures of existing elites are allowed to freeze the status quo in place. If the approximate technological and economic status quo persists, massive societal disintegration looms on the horizon. A Greece-style crisis of national-government expenditures may occur as some have predicted, but would only be a symptom of a greater problem. The fundamental driver of crisis since at least September 11, 2001, and more acutely since the Great Recession and the national-government bailouts of legacy financial and manufacturing institutions, is an increasing disconnect between the powerful and everybody else. The powerful – i.e., the politically connected, including the special interests of the “private sector” – seek to protect their positions through political barriers, at the expense of individual rights, upward social mobility, and economic/technological progress. Individuals from a relatively tiny politically connected elite caused the 2008 financial crisis, lobbied for and received unprecedented bailouts and lifelines for the firms whose misbehavior exacerbated the crisis, and then have attempted to rig the political “rules of the game” to prevent themselves from being unseated from positions of wealth and influence by the dynamics of market competition. The system created by these elites has been characterized by various observers as crony capitalism, corporatism, corporate fascism, neo-mercantilism, and a neo-Medieval guild system. The deleterious influence of the politically connected today is reflected in the still-massive rates of unemployment and underemployment for the millennial generation, while many established industries fail to make openings for young people to ascend and fail to accommodate the emerging technologies with which young people thrive. While the millennial generation had nothing to do with the Great Recession, it has suffered its greatest fallout. Many millennials now encounter tremendous diminution in economic opportunity and living standards (think of young people in New York City paying several thousand dollars a month to share a tiny, century-old apartment among three people – or the emerging trend of shipping containers being converted into the only type of affordable housing for young people in San Francisco). The “Occupy” movement was a reflection of the resulting discontentment – a reflexive and indiscriminate backlash by young people who knew that their circumstances were unjustly bad, but did not understand the root causes or the culprits. The only way for a crisis to be averted is for the current elites to stop blocking people from the millennial generation from opportunities to achieve upward mobility. The elite must also stop bailing out obsolete and poorly managed legacy institutions, and cease erecting protectionist barriers to the existence of innovative businesses that young people can and have tried to start. If the millennial generation continues to be shut out of the kinds of opportunities available to the preceding generation, however, I can envision two crisis scenarios. Each of these characterizations is not a prediction (but rather a nightmare which I hope can be avoided), is somewhat broad and, of course, is tentative. However, these scenarios are rough outlines of how the West could falter in the absence of significant technological progress. Crisis Scenario 1: “Occupy” Times Ten: Millions of unemployed thirty-somethings (millennials in five to ten years) riot in the streets, indiscriminately destroying storefronts and setting cars alight. Economic activity and sophisticated production are ground to a halt because of the turmoil. The continuity of knowledge transfer and intergenerational symbiosis involved in human civilization are completely interrupted. Clashes with police create martyrs who are then invoked by opportunistic thugs as an excuse to loot and burn. Without the opportunity for peaceful economic cooperation, society degenerates into armed gangs, some left-wing (e.g., “Black Bloc” violent anarchists), others right-wing (e.g., survivalist militia groups). Thoughtful and intellectual people, who want the violence to end and see an imperfect peace as better than a war of all against all, are universally despised by the new tribes and cannot find a safe environment in which to work and innovate. The infrastructure of everyday life is critically damaged, and nobody maintains or repairs it. Roads, bridges, pipes, and electrical grids are either destroyed or become unusable after years of decay. The West becomes Ukraine writ large, eventually regressing into premodernity. Crisis Scenario 2: The Reaction: Current political and crony-capitalist elites crack down with extreme force, either in response to actual riots or, more likely, to the threat thereof. Civil liberties are obliterated and an economic underclass enforced through deliberate restrictions on entry into any remunerative occupations – much like the 17th-century mercantilists advocated for maximum wages and prohibitions on perceived luxuries for the working classes. Those who do get jobs are required to work 60 or more hours per week and so have no time for anything else in life. All established industries are maintained in their current form through legal protections and bailouts, and there is an official policy that the structure of the economy must not be allowed to change for any reason. (Think of Directive 10-289 from Ayn Rand’s Atlas Shrugged.) Licensing requirements for professions become ubiquitous and burdensome, laden with Catch-22 provisions so that few or no new entrants can make it into the system. Only an elite cadre of Baby Boomers enjoys wealth and uses the force of legal entry barriers to prevent anyone else from having the opportunity to earn their own. They have ground technological progress to a halt, seeking to keep established business models in place and thwart all competition. The national government develops a massive spying capability and enforces social order through the ability to detect behaviors that might even be algorithmically correlated with dissent. All ordinary citizens are routinely humiliated in public under the pretense of thwarting crime or terrorism. TSA body searches have expanded beyond airports to highway checkpoints, shopping centers, and random stops by police on city streets. People’s homes are routinely raided by SWAT teams at the mildest pretext. This is done to make people meek and subservient to the established order. To keep young people from rioting (and get rid of the “excess” unemployed youths), the elites concoct jingoistic justifications to inflame endless foreign wars, and young people are conscripted and sent to die abroad. If any of these wars aggravate the regimes of either Russia or China, this scenario has the added risk of putting the world back on the verge of nuclear conflict. The fast-senescing crony-capitalist elites have cut off future biomedical progress and so will die eventually, but only the children of the elite will inherit any wealth. A neo-feudal oligarchy is established and becomes gradually ossified throughout the generations, while the industrial and technological base built over the past 200 years, as a legacy of the Enlightenment and individual rights, will deteriorate, eventually bringing the West back into premodernity. I see an ossification of the status quo as leading to one or both of the above crisis scenarios. A return of premodernity is the logical conclusion of the dynamics of a fundamentally unaltered status quo. If humankind does not move technologically forward, it will go backward in a spiral of destruction and repression. The only way for either crisis scenario to be averted is for technological progress to occur at no slower than the rates experienced during the twentieth century. Overt political revolution, even if it begins peacefully, is dangerous. To understand why this is so, one needs look no further than the recent Arab Spring uprisings – initially motivated by liberally minded dissidents and ordinary people who could no longer tolerate corrupt dictatorships, but ultimately hijacked by Islamist militants, military juntas, or both. A case even closer to the contemporary Western world is the recent Maidan revolution in Ukraine, which, while initially motivated by peaceful and well-intentioned pro-European activists, replaced a corrupt regime that occasionally persecuted dissidents with a fiercely militant, nationalistic regime that tolerates no dissent, engages in coercive historical revisionism, prohibits criticism of Nazi and neo-Nazi thugs, conscripts some of its citizens to die in civil war, and indiscriminately shells others of its citizens in the East. Revolutions always have the potential of replacing a lethargically bad regime with an aggressively destructive one. This is why it is better for any societal transformation to be driven primarily by technological and economic development, rather than by political turmoil. The least turbulent transformations should be somewhat gradual and at least grudgingly accepted by the existing elites, who need to be willing to alter their own composition and accept bright minds from any background – not just their own progeny. A sufficient rate of technological advancement – especially due to the growth in 3D printing, robotics, nanotechnology, biotechnology, genetic engineering, vertical farming, and renewable energy – can ensure near-universal abundance within a generation, untethered from permission-granting institutions to which most people today owe a living. Such prosperity would enable most people to experience what are today upper-middle-class living standards, therefore having no motivation to riot. Technological progress can also preserve individual liberty by continually creating new spheres where politicians and lobbyists are incapable of control and individuals can outmaneuver most political restrictions. Technological progress, particularly radical extension of the human lifespan through periodic rejuvenation that can restore the body to a more youthful condition, is also the only hope for remedying unsustainable expenditures of national governments, which are presently primarily intended to support people’s income and healthcare needs in old age. Rejuvenation biotechnology of the sort championed by Dr. Aubrey de Grey’s SENS Research Foundation could be developed with sufficient investment into the research, and could become disseminated by biotechnology entrepreneurs, ensuring that older people do not become decrepit or incapable of productive work as they age. The only way to sustainably extend average lifespans past about 85 years would be to turn back the clock of biological aging. It is not possible for most people (who do not have some degree of genetic luck) to live much longer beyond that without also becoming more youthful. Many people who receive rejuvenation treatments will not want to retire – at least not from all work – if they still feel the vitality of youth. They will seek out activities to support human well-being and high living standards, even if they have saved enough money to consider it unnecessary to take a regular 8-to-5 job. With the vitality of youth combined with the experience of age, these people will be able to make sophisticated, persistent contributions to human civilization and will tend to plan for the longer term, as compared to most people today. If automation takes care of basic human needs, then human labor will be freed for more creative and fulfilling tasks. Effective rejuvenation will not arrive right away, but immigration can keep the demographic disparity between the young and the old from being a severe problem in the meantime. This is another reason to reject protectionist policies and instead pursue approaches that allow more people to contribute to and benefit from the material prosperity of the “developed” world. Birth rates tend to fall anywhere there are major rises in standards of living after an industrial revolution, as children stop becoming productive helpers in an agricultural economy and instead become expensive to raise and educate so that they can participate in a knowledge-based economy. However, birth rates are still higher in many less-developed parts of the world, and people from those areas will readily seek opportunities for economic advancement in more developed countries, if given the option. Fortunately, there are glimmers of hope that the path of gradual embrace of ever-accelerating progress will be the one taken in the early-21st-century Western world. The best outcome would be for an existing elite to facilitate mechanisms for its own evolution by offering people of merit but from humble backgrounds a place in real decision-making. Some of that evolution can occur through market competition – new, upstart businesses displacing incumbents and gradually amassing significant resources themselves. The best instantiation of this in the United States today is the Silicon Valley entrepreneurial culture – which, incidentally, tends to finance the majority of longevity research. The most massive infusion of funds into longevity-related research has been from an offshoot of Google – Calico – founded in 2013 and currently partnering with a large pharmaceutical company, AbbVie. Calico has been somewhat secretive as to the details of its research, but there are other large businesses that are beginning to invest in similar endeavors – e.g., Craig Venter’s Human Longevity, Inc. Moreover, the famous libertarian venture capitalist Peter Thiel has given millions of dollars to Dr. Aubrey de Grey’s SENS Research Foundation – a smaller-scale organization but perhaps the most ambitious in its goals to bring about a reversal of human senescence through advances in rejuvenation treatments within the next quarter-century. These developments are evidence that the United States today is characterized not by one elite, but by several – and the old “Paper Belt” elite is clearly in conflict with the new Silicon Valley elite. Politicians tend, surprisingly, not to be the most decisive players in this conflict, since they typically depend on harnessing pre-existing cultural currents in order to get elected and stay in office. Thus, they will tend to side with whatever issues and special interests they consider to be gaining ground at a given time. For this reason, many thinkers have characterized politics as a lagging indicator, responding to rather than triggering the defining events of an era. The politicians ride the currents to power, but something else creates those currents. Differences in the breadth of vision among elites also matter. For instance, breakthroughs in human longevity could actually be a great boon for medical providers and the first pharmaceutical companies that offer effective products/treatments. Even the most ambitious proponents of life extension do not think it possible to develop a magic immortality pill. Rather, the treatments involved (which will be quite expensive at first) would require periodic regeneration of the cells and tissues within a person’s body – essentially resetting the biological clock every decade or so, while further innovation uncovers ways to reverse the damage more cheaply, safely, and effectively. This is a field ripe with opportunities for enterprising doctors, researchers, and engineers (while, at the same time, certainly endangering many extant business models). Some government officials, if they are sufficiently perceptive, could also be persuaded to support these changes – if only because they could prevent a catastrophic collapse of Social Security and Medicare. Approximately 30% of Medicare expenditures occur during the last year of patients’ lives, when the body is often fighting back multiple ailments in a losing battle. If this situation were simply prevented in the first place, and if most people became biologically young again and fully capable of working for a living or financing their own retirements, the expenses of both Social Security and Medicare could plummet until these programs became wholly unnecessary in the eyes of most voters. The key to achieving a freer, more prosperous, and longer-lived future is to educate both elites and the general public to accurately weigh the opportunities and risks of emerging technologies. Too many individuals today, both elites and ordinary people, view technological progress with suspicion, conjuring in their minds every possible dystopian scenario and every possible malfunction, inconvenience, lost opportunity, moral reservation, or esthetic dislike they can muster against breakthroughs in life extension, artificial intelligence, robotics, autonomous vehicles, genetic engineering, nanotechnology, and many other areas of advancement that could vastly benefit us all. This techno-skeptical mindset is the biggest obstacle for proponents of progress and a better future to overcome. Fortunately, we do not need to be elites to play important roles in overcoming it. By simply arguing the techno-optimist case and educating people from all walks of life about the tremendous beneficial potential of emerging technologies, we can each do our part to ensure that the 21st century will become known as an era of humankind’s great liberation from its age-old limitations, and not a lurch back into the bog of premodern barbarism. If we have a modicum of technological progress, the West might be able to muddle through the next several decades. If we have an acceleration of technological progress, the West will leave its current problems in the dust. The outcome will be a question of whether people (both elites and ordinary citizens) are, on balance, held hostage to the fear of the new or, rather, willing to try out technological alternatives to the status quo in the hopes of achieving improvement in their lives.